Although it is going to take some more time before the U.S. trade and investment embargo is fully lifted, Cuba presents an incredible investment opportunity. As the Obama administration enters a second round of talks with Cuban government officials, the excitement is mounting over the thaw in the relationship between the two countries. Last week, cigar aficionados from around the world gathered in Havana, Cuba, for the annual Habanos Festival. 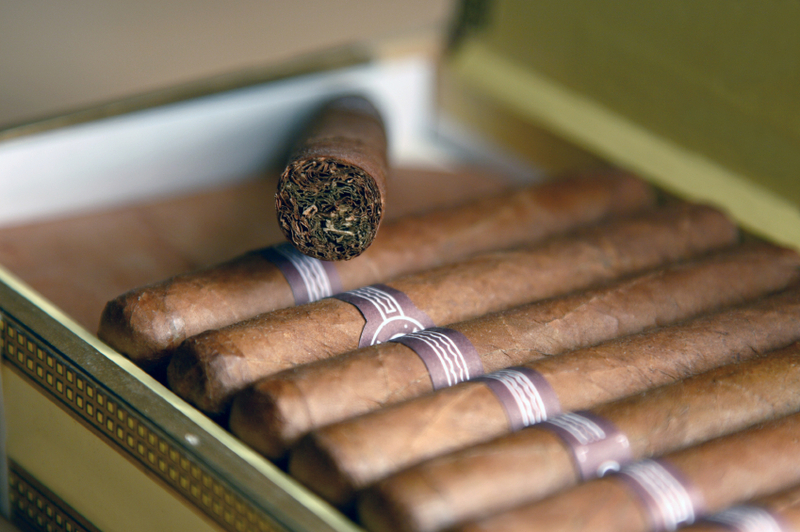 Among them were a number of U.S. citizens, who, for the first time and as per a new ruling, were allowed to bring home $100 worth of cigars from Cuba. Although it is going to take some more time before the U.S. trade and investment embargo is fully lifted, Cuba presents an incredible investment opportunity, one that investors are certainly ready for. Mark Entwistle, founding partner of Acasta Capital, and Thomas Herzfeld, Chairman and President of Thomas J. Herzfeld Advisors, two financiers who have been close to Cuba for many years and have been following the Cuban story closely, have several valuable insights to share. During his tenure as Canada’s Ambassador to Cuba in the mid 1990s, Mark Entwistle not only developed a great fondness for the country, but he also recognized Cuba’s tremendous economic potential. Entwistle quit the Canadian foreign service to form a business consultancy focused on Cuba and three years ago, he rolled that into Acasta Capital, a merchant bank he co-founded in Toronto. Cuba, which dwarves the rest of the Caribbean in size and is rich in natural elements, also boasts a very high literacy rate, Entwistle said. Over the years, the Cuban government has made significant investments in education, and in knowledge based sectors of the economy such as biotech and information technology, and it has also focused on developing other key industries like mining. Then, “about 15 years ago, the Cuban political leadership also recognized the fact that their economic model doesn’t meet their needs, and that it needs to be adjusted and opened, and the economy liberalized,” he said. That liberalization has been ongoing within Cuba itself, Entwistle said, and the government has been encouraging the creation of a private sector (around 1.5 million Cubans have been let go from state jobs), where “all kinds of things that the government used to do before are being done by individuals, in recognition of the fact that there are some areas the state shouldn’t be in charge of, so there’s an entire recalibration of the revolutionary model.” But that doesn’t mean that that model no longer matters. On the contrary, Entwistle said it’s paramount that investors acknowledge the importance of Cuba’s historical trajectory and respect it for what it represents. U.S. investors in particular need to know that Cuba has its own plan as far as economic liberalization and development go, he said. And although the country needs foreign investment and U.S. investment, when it gets going, will be particularly important, things will happen on Cuba’s own terms. Thomas Herzfeld, Chairman and President of Thomas J. Herzfeld Advisors, Inc. Since President Barack Obama’s December 17 statement on Cuba, investor interest in Thomas Herzfeld’s Caribbean Basin Fund has increased tremendously, based on anticipation that the embargo will be lifted and banking on the 20-year lead that Herzfeld has on the Cuban investment story. His closed-end fund was set up in 1994 with the goal of investing in companies that would benefit from Cuba’s reopening and a resumption of trade and tourism from the U.S.
“We understood when we launched the fund that it was not sure when embargo would be lifted, so we planned a portfolio that would invest in companies throughout the Caribbean and that would do well even if there was no change in the embargo, but that would do really well if the embargo was lifted,” Herzfeld said. Now, the fund is shifting its focus to finding companies that are more direct Cuba plays, Herzfeld said, and his firm will also be starting a private equity fund to invest in Cuba, where the potential investment opportunities are ample, and exist in diverse industry sectors including telecom, food and beverage, cement, to name a few. The Cuban government, he said, has a number of economic priorities and would look to promote sectors like tourism, agriculture, telecommunications, and construction, among others. If and when the U.S. embargo is lifted, U.S. investment can play a big part in developing these and other sectors, he said.